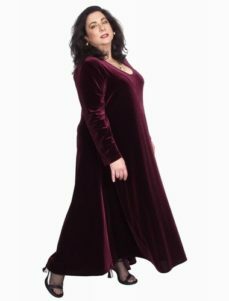 Plus Size Special Occasion Coat Burgundy Blue Gold Sage Wearable Art Size 22/24: The versatile Drape Lapel Coat to dress up and down, for any occasion. This coat is one-of-a-kind in our size 22/24. 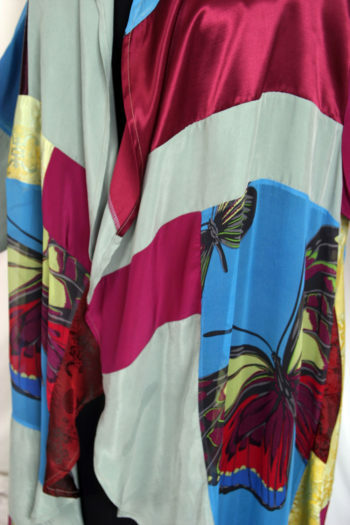 You'll find our sizing generous, but please contact us with your measurements (height, bust, waist, hips) and we'll size you accurately and let you know how each style and size will fit you. 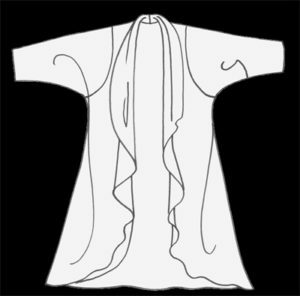 Consult with us. 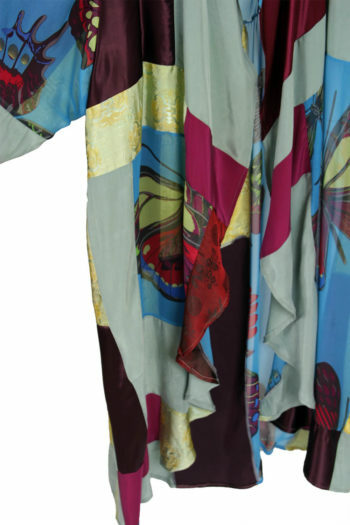 We'll answer your questions and assist you in creating an ensemble or weekend wardrobe. 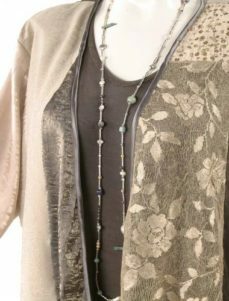 A Peggy Lutz Stylist will assist you in choosing fabrics, styles, colors, sizing and meeting your deadlines! 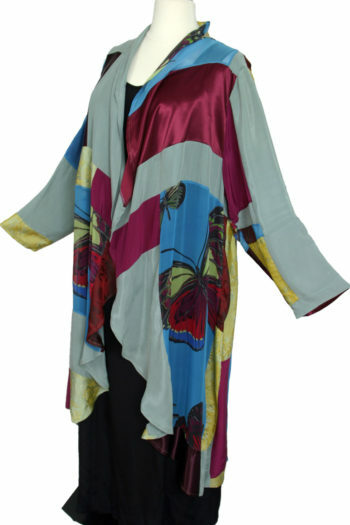 Bust 55" Hips 68" Length (shoulder over bust to hem) 49" Upper Arm 24"
Consult with us. A Peggy Lutz Stylist will assist you in choosing fabrics, styles, colors, sizing and meeting your deadlines! 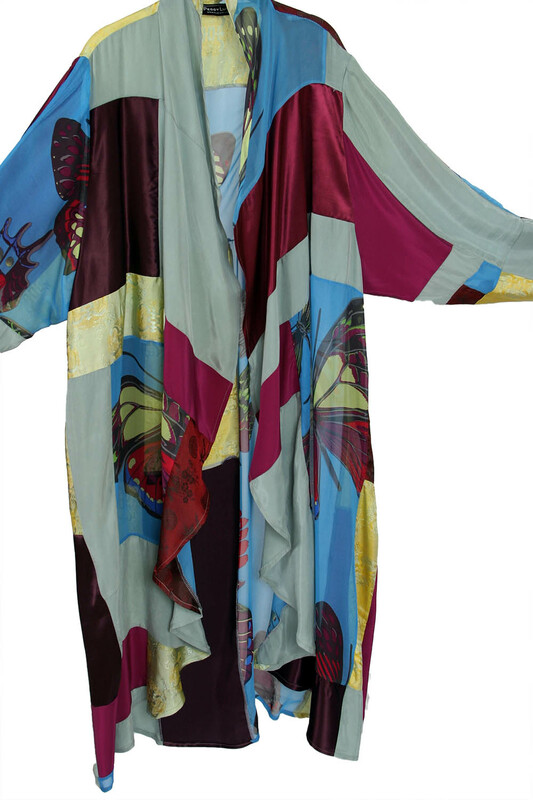 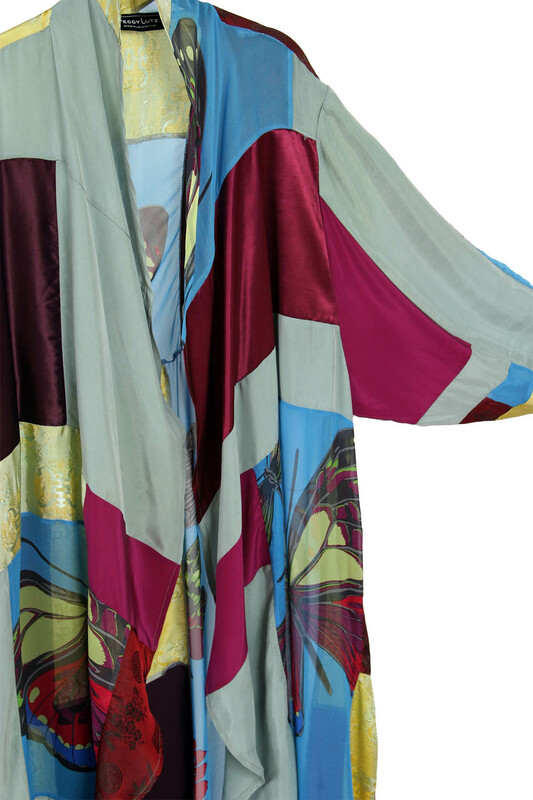 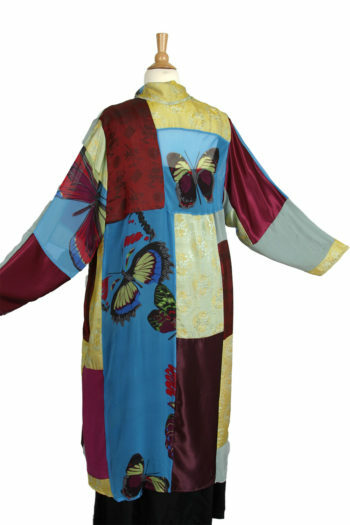 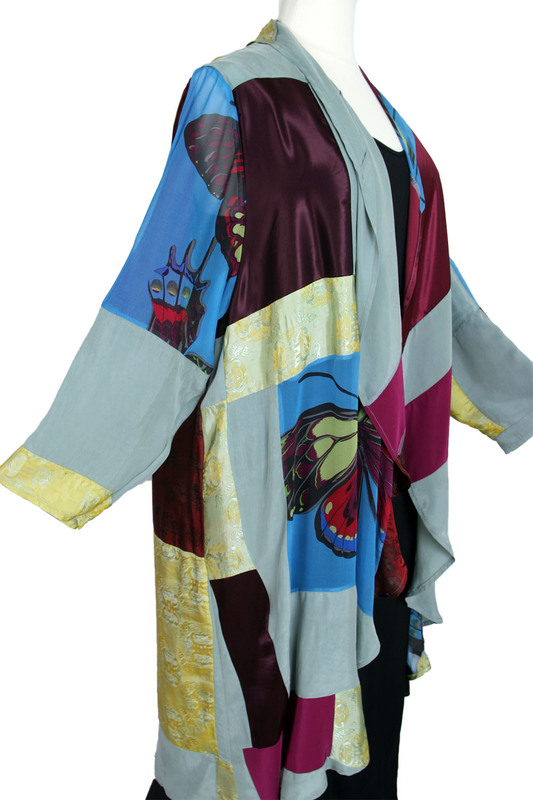 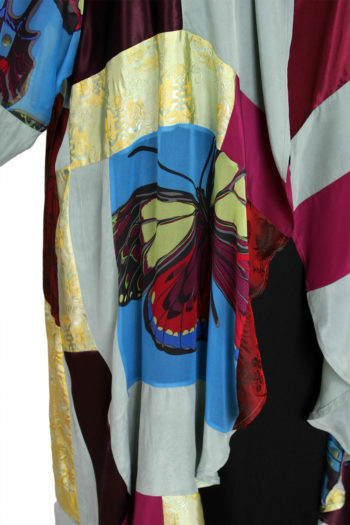 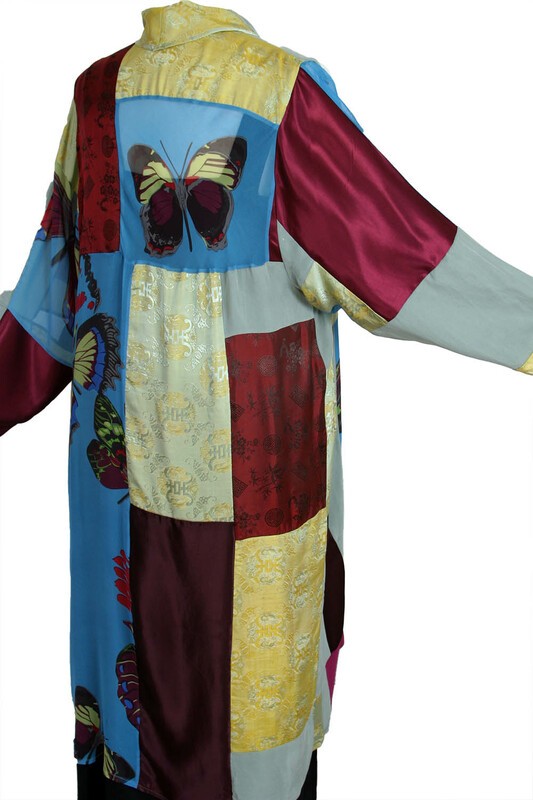 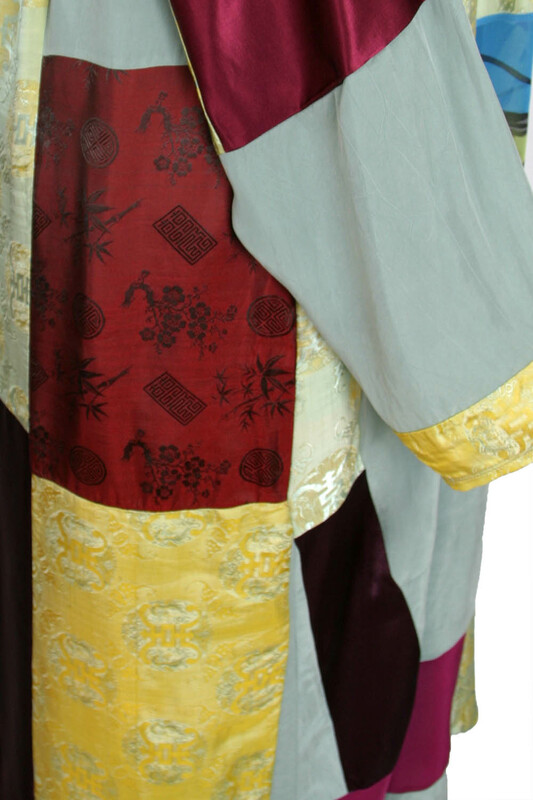 Be the first to review “Plus Size Special Occasion Coat Burgundy Blue Gold Sage Wearable Art Size 22/24” Click here to cancel reply.